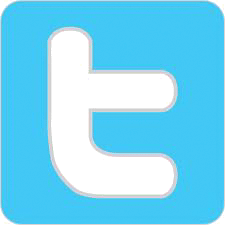 “Mi no dae” – I do not want to die – says Alpha through the window of the isolation room. The doctor of the small hospital in Yele, a little town in the heart of Sierra Leone, tries to comfort her. But the doctor knows her chances of survival are small: Alpha has diarrhoea, blood in her stool and she vomits. All symptom of ebola. Yesterday, Alpha and five other suspected ebola patients were brought from neighbouring Maraka to the hospital. One of them died last night. Several weeks ago, the first ebola workers travelled over the dirt road, lined with long grass and towering palms, to Maraka village to spread the news. None of the 700 inhabitants took them seriously. Not even when a little boy died. They buried him in the dead of night, many villagers touched his body. Then his brother became ill too, followed by his mother. It’s dead silent in Maraka. Terror has stuck. This morning the deceased child’s grandmother died. Ebola, the invisible enemy, has become real. Everyone hides indoors. 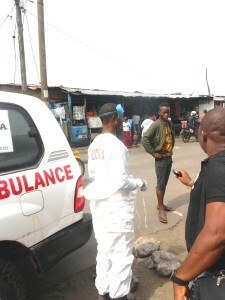 “Finally they believe us,” grumbles an ebola officer dressed in plastic jacket and helmet. Village head Fodo Tulli, who wears an orange hat decorated with two tassels, peeks through a wooden shutter. The ebola workers persuade him to gather his people under the big mango tree, where he sits on a bench. Some bewildered men rally around, each keeping a distance from one other. “Are you infected?” whispers one to the other. When the ebola officers tell them everyone could be infected and everybody should stay home for three weeks, some people start to grumble. “I still have to get the harvest in,” protests an old man. More than six months after the beginning of the outbreak many people in Sierra Leone, Liberia and Guinea still do not believe ebola is real. Governments swung into action much too late and when they finally sent educators into the countryside, their message did not get through. Villagers watched the foreigners in space suits with suspicion. There was a big disconnect between residents and authorities. Foreign aid workers are accustomed to admit patients in hospitals, but that’s not enough to stop the contamination. Only the people themselves can prevent further infection by detecting the disease early. Until that happens, new hotbeds will continue popping up. West Point is a poor neighbourhood in Monrovia with 50,000 people crammed into it. Avoiding physical contact is almost impossible here. Every inch is taken up with pushing people, honking cars, rumbling mopeds and traders who praise their wheelbarrows wares. When, in August, government soldiers closed off the district with barbed wire and a treatment centre for ebola was opened, an angry mob rushed to the clinic, freed the patients and jerked bloodied sheets off the beds. Two weeks later the number infected with ebola shot up. In contrast with Sierra Leone and Guinea the tide seems to have turned in Liberia. Residents no longer hide dead bodies, reporting deaths to special burial teams. Ambulances pick up patients within the hour. Slowly confidence in the health services to combat the disease and take care of the patients is being restored. But not everyone can control their fear. A girl dressed in a ragged T-shirt with the inscription “Your boyfriend is my ATM” gestures to Baccus. “My brother is sick, please, come pick him up.” Baccus calls an ambulance, which arrives 45 minutes later at the scene with flashing lights and a siren. Her sick brother douses his head with ice water and regains energy. “I’m not going,” he balks, “my father has to give me instruction.” The assembled crowd encourages him to get in but his father is nowhere to be seen. The ambulance driver gets angry: “Soon I get lynched here.” He starts the engine, the ambulance drives away. The sick boy walks unsteadily into the busy street to be swallowed up by the black mass. Westpoint: The ambulance comes to pick the boy, but he refuses to get in. Liberia and Sierra Leone harbour mysteries incomprehensible to the outsider. Dying of ebola is a terrible fate, but being deprived of a place in the afterlife, alongside the ancestors, is worse. “If the spirits linger because the proper rituals are not performed, they take revenge on us,” explains Josh Kekale in the Liberian village of Lawota, a three hours drive from Monrovia. People believe elaborate funeral ceremonies are necessary. Conducted by secret societies with ancient histories, the ceremonies tackle thorny issues: did the deceased make a mistake so serious a curse must be lifted? Are there liabilities to be paid? Relatives touch the body to prevent evil spirits afflicting them, there is dancing and singing. In the first months of the epidemic, 70 percent of those infected caught the virus during a funeral. At the ebola centres the bodies of the deceased are zipped into plastic bags and buried without ceremony. When the corpses were piling up a few months ago, foreign aid workers started burning them, angering the population. “With the burning of the body, the spirit is affected. And I’ve heard that our government exports the ashes to India, so that the people there can worship their gods”, says Kekale. Cremations have now been stopped and the Liberian government has promised, after the epidemic is over, to hold a symbolic mass burial for the dead. In Sierra Leone, the bereaved can now place a stone on the grave at the special ebola cemeteries. In the night the boulder is said to absorb the spirit of the deceased and the boulder is then transported back to the village. In July, with the crisis in full swing, the Liberian President Ellen Johnson Sirleaf went to the airport to welcome an aircraft owned by Nigerian faith healer TB Joshua. By then her health minister had fled the country, his deputy had died. TB Joshua donated thousands of litres of holy water. The Liberian radio called on all inhabitants to wash themselves on the streets after twelve o’clock midnight with this blessed water and then take a sip of the bathwater. That night there was dancing in all neighbourhoods, ritual ceremonies to defeat the virus. 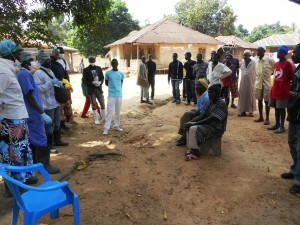 Lawota, a village of 300 inhabitants, is located in Lofa, until recently one of the worst affected districts of Liberia. Lawota is ebola free now. In front of every house stands a barrel with chlorinated water for handwashing. 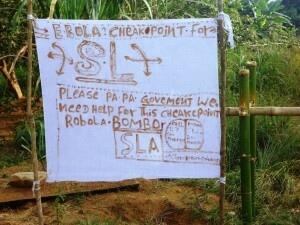 Posters declaring ‘ebola is real’ are stuck on trees around the village’s bourbainvillea-draped meeting place.